Carpet continues to be one of the top choices in flooring for homeowners because of its unmatched style and comfortable qualities. Carpeting not only looks good in your home, but also comes with several different benefits such as being simple to maintain and comes in allergy friendly options.There are several carpet characteristics that play a role like the base material, pile styles, and even the carpet cushion underneath. Buddy’s Flooring Carpet One in Corona, Ontario, and Upland is your local source for all things carpet flooring. Carpet is built to withstand everyday life, and comes in options that are stain, wear and fade proof so you can live your life worry free on your floors. It does not matter if you have pets or toddlers running around your home, we can help you find the perfect carpet for your home. Jim Aaron, our VP of Merchandising for Carpet One Floor & Home, shares some information on the different carpet styles that are available. 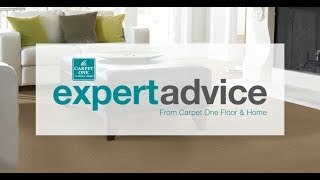 Where Can You Install Carpet? Carpet flooring is well suited for homes with little to no traffic, or homes with children and pets roaming freely.We can help you find a carpet that suits your home and lifestyle. Carpets are more durable than you think and can handle places around your home with heavy traffic like hallways, stairs, and even living rooms. Transform rooms you like to relax in into cozy and inviting spaces as your own personal retreat.Places you should avoid installing carpet in include bathrooms and kitchens. Choosing a carpet color is just part of choosing the typeof carpet you want in your home. Carpet pile plays a role in how a carpet will function in your home, and feature different characteristics. What are these different characteristics? Cut pile has fibers that are cut at the ends making the carpet denser. Loop pile is the opposite, where no fibers are left at the surface and are in a series of loops, giving the carpet an even look. Multi-level loop staggers the height of the loop fibers to create an uneven surface. Cut and loop piles also provide an uneven look but also give texture to the carpet and hide dirt. The type of fiber the carpet is made out of also impacts how the carpet will look and feel.It also determines the stain and matting resistance as well as long term durability. Nylon fibers are the most durable, but polyester has a more soft and plush feel.Sisal and wool are two natural carpet fiber options.Wool fibers are sought after by homeowners not just because they are natural but because they also feature many different benefits like being hypoallergenic. As your local flooring retailer, and a member of the Carpet One Floor & Home cooperative, we carry a wide selection of quality carpets and brands for you to explore. Check out our carpet selection and choose from our exclusive brands like Relax, it’s...Lees, Tigressá, and Innovia. Visit Buddy’s Flooring Carpet One Floor & Home in Corona, Ontario, or Upland, CA. Lees carpet offers a leading warranty. Tigressa H2O features a waterproof construction. Innovia combines style and performance. Not every carpet is made the same, and your lifestyle can help you determine the type of carpet you need for your home. Follow the link below to learn more about carpet types. Keeping your carpets clean does not have to be as hard as you think. Since most carpets feature some sort of stain resistance, they are easier to clean and maintain over time. Follow the link below to learn about carpet cleaning tips.